Please Note: Our Moose tags have been reserved for the next few years. 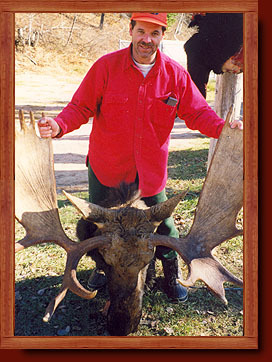 Northern Ontario has one of the highest concentrations on Moose in Canada. We are located at the most northern point that roads reach in Ontario so we are very close to massive populations of Moose. From our location, we have access to hundreds of miles of wilderness trails, old logging roads, streams, rivers and marshes where Moose are constantly seen. 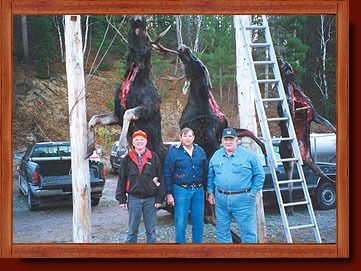 Our experienced guides know where to go so you can get your Moose. 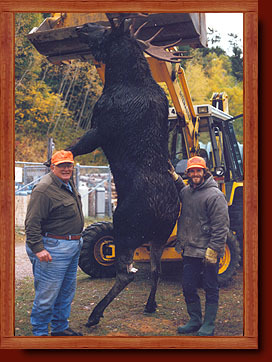 Our Moose hunt takes place in WMU 30 and WMU 31. 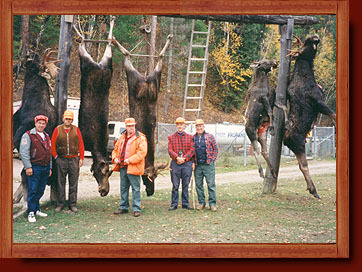 Our Moose hunting guests enjoy an extremely high success rate with many large Bulls and Cows being harvested. We also offer resident hunters accommodations with their own adult tags. Our guides assist with retrieval and field dressing. There is a local butcher that can process the meat for you.